LoL, CS:GO, Dota 2, SC 2, Artifact, FIFA, Rocket League, R6, Overwatch more! LoL, CS:GO, Dota 2, SC 2, R6, Rocket League, Overwatch, FIFA, CoD, & more! LoL, CS:GO, Dota 2, SC 2, R6, CoD, Overwatch, FIFA & more! LoL, CS:GO, Dota 2, SC 2, Overwatch, Rocket League, FIFA, CoD & more! From Russia, you can register and play at four of our nine top esports betting sites, the others do not serve Russia. These are also some of the best traditional Russian betting sites. Pinnacle and 1xBet also offer accounts in Russian Rubles so you may avoid currency exchange. Making the right choice for your esports betting provider really just depends on the aspects of your experience you think will be most important. We provide reviews of each esports betting provider to address and evaluate key points about the available esports league and event coverage, esports betting market coverage and the respective approaches to odds margins and esports promotions. The reviews also discuss the respective betting platforms for both mobile and desktop users. The above rankings are based on the overall grades that we have assigned, but each site has different strengths in each of these individual areas of interest. Each of the above esports betting sites offers a unique selection of banking methods for use from Russia. Both Pinnacle and 1xBet offer Ruble accounts and banking methods. Pinnacle offers Qiwi, Neteller, EcoPayz and Bitcoin to fund a Ruble account. 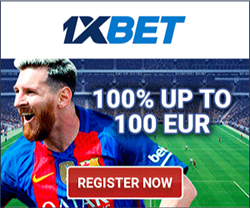 1xBet offers these and many more including Yandex, WebMoney, Beeline and MegaFone among many other methods. Payment methods that are available at other sites for non-Ruble accounts may include Skrill, Neteller, Qiwi, AstroPay Card, paysafecard, Visa and MasterCard credit and debit cards and bank transfers. Is online esports betting legal in Russia? Yes it is, but Russia has a very aggressive approach to blocking unlicensed gambling sites and this approach will likely prevent access to some of those above. As such you will certainly make good use of Virtual Private Networks to access such services. If you are worried about financial transactions being recorded in Russia toward these blocked sites, simply use your VPN and use one of the intermediary e-wallet services. Can I play casino games or poker at these esports betting sites from Russia? Absolutely. bet365 offers both. They offer one of the most robust poker platforms and a significant poker player community. All of the listed sites offer casino games plus the ability to play live-dealer games where there is a real person on-camera that runs your game of choice, as opposed to a fully digital game. Russia loves esports. They have top teams like Virtus.Pro and some elite individual talent. The 17 top Russian esports earners are among the top 500 esports earners in the world. It is one thing to have some great esports players and high participation rates, but not all countries support esports the way Russia does. In 2000, the Russia Esports Federation was formed to accomplish several important aspects in creating the framework for esports to become an official sport within the country. This included the clarification of rules, submission of competition plans, organization of competition calendars and the creation national esports teams. In 2018, with years of hard work behind them, the Russian Minister of Sport recognised Esports as an official sport.